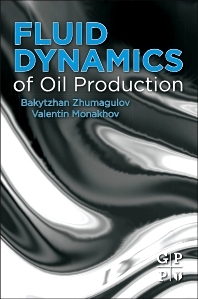 Unconventional scenarios, such as models describing the process of foaming in oil formations and the combination of reservoir flow with liquid flow in wells. Bakytzhan Zhumagulov is a State Award winner of the Republic of Kazakhstan in Science, Technology and Education, an Honored Worker of Science of the Republic of Kazakhstan, Doctor of Technical Sciences, Professor, Academician of the National Academy of Sciences of the Republic of Kazakhstan, and the organizer of Education and Science of Kazakhstan. He is a prominent scientist and mathematician in the field of basic and applied research in computational mathematics and mathematical problems of fluid and gas dynamics. His scientific activities relates to the study, development and application of information technology, mathematical modeling and mathematical methods in fluid dynamics, creation of computer-aided analysis, development of oil fields, and prognosis and solution of practial problems of the oil and gas industry and ecology, which received wide international recognition. Valentin Monkhov was Doctor of Physical and Mathematical Sciences, Professor, Academician of the Russian Academy of Sciences, a prominent scientist, mathematician-mechanic, specialist in the field of fluid dynamics, filtration theory of multiphase fluids, and mathematical physics. He made a great contribution to the development of the classical methods for solving free boundary problems for nonlinear models arising in gas dynamics, nonlinear filtering and elastic-plastic medium. He studied the problem of interfacing high-speed streams of viscous fluids in wells and open channels with its filtration flows in the environment, as well as the solvability of boundary value problems for some variants of this pairing. In additionl to the traditional models, he made a number of new models of oil reservoirs. He is widely known and respected in the scientific community in Russia and abroad. Valentin Monakhov was Doctor of Physical and Mathematical Sciences; Professor, Academician of the Russian Academy of Sciences, and specialist in the field of fluid dynamics, filtration theory of multiphase fluids, and mathematical physics.